Innocent Spouse saves a taxpayer from tax liability when they are innocent of incurring the tax debt. Innocent Spouse is an extremely difficult resolution to be successful in obtaining when you are dealing with the IRS. This is mainly because the burden of proof lies on the taxpayer when it comes to proving you were innocent in incurring these tax liabilities. 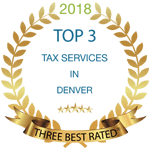 There are a few reasons you can qualify for this program, but the one True Resolve Tax Professionals addressed for this clients case was that her husband and her had filed joint tax returns showing that they did not owe tax, and in fact they had tax refunds owed to them. These were the tax returns she had signed and she believed to be accurate. This young lady was a mother of three children under the age of five. She did not work outside of the home. Her husband owned a small roofing business in the Denver Metro area. The husband handled all of the finances for the home. He earned the income, paid the bills and gave her cash when she needed money to go grocery shopping or do something for herself or the kids. She did not have a debit card, nor did she have logins to their personal bank account, let alone the business account. Our client had never had any involvement in the business at all. When the tax returns were prepared, her husband handled most of that process as well. He provided the income and expense information for his business to their accountant and when the return was done they would both go in to review and sign the return. The review process always consisted of the accountant going over the tax returns, particularly the Schedule C for the business, and the husband approving it, stating that everything seemed to line up with the figures he had provided to the accountant’s office. They would then sign the returns. This happened for two tax years. Sometime in the third and fourth years, the letters from the IRS started showing up at the house. The first one she opened resulted her calling her husband in a panic. She thought it was a mistake. The IRS was claiming they owed over $35,000.00 for the two tax years due to not all the income being reported on the tax return. Her husband told her it was a mistake and he would call the accountant and take care of it. The letters continued to arrive until one day one of them was a notice of bank levy. When she called her husband he confirmed that the IRS had taken money out of their account that morning and he was trying to figure out what was going on. After several months of being in the dark, this client reached out to us to find out what she could do. The IRS had filed a lien against her and she didn’t fully understand the situation or why she was in the middle of it since she did not produce any of the income. In speaking with her, True Resolve Tax determine she was an ideal candidate for Innocent Spouse. She had no way of knowing that all the income had not been reported and she had no reason to know since her husband paid all the bills and she wasn’t even sure how much their mortgage payment was let alone any other living expenses. The request for Innocent Spouse was prepared and submitted in under a month’s time. After a few back and forth communications with the IRS and providing several documents including bank statements showing her name was not on their personal bank account and that her signature was not on any checks that had been written out of the account, we were able to get the IRS to approve the Innocent Spouse request for our client. 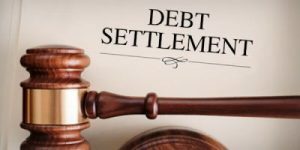 This resulted in her being able to have the tax lien against her removed and the debt assessed only against her husband. If you have a similar situation and think you may qualify for Innocent Spouse, contact True Resolve Tax for a consultation and review of your options today.